First: A light shall be carried on each vehicle when riding at night. Second: No vehicle when mounted shall be ridden on any sidewalk or footpath. Third: Vehicles when mounted shall only be used on the carriage-way of any street, avenue, or public place. Fourth: The rider of every vehicle shall keep to the right, and under no circumstances pass an approaching vehicle on the left, and on overtaking another vehicle shall ride to the left. 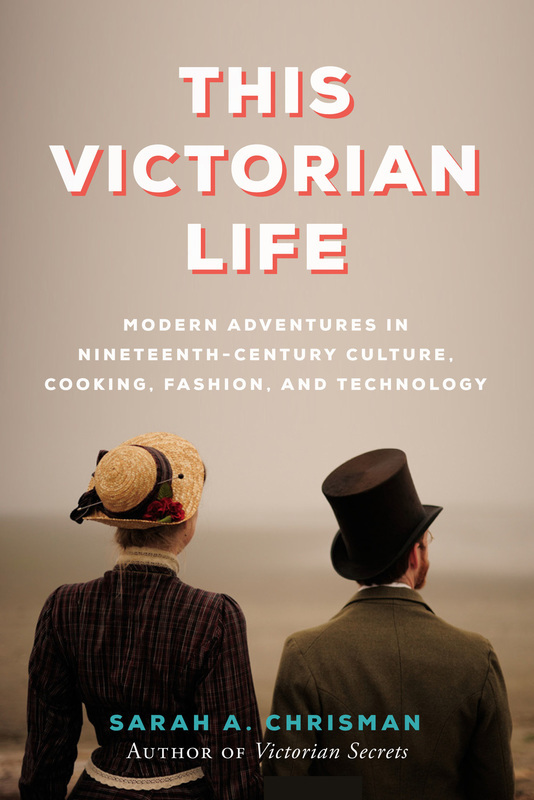 Fifth: Care shall be exercised in turning a corner of a street, and speed in riding through any main street or avenue shall not exceed ten miles per hour. Sixth: In riding strict regard shall be paid to the rights of others to the public highway, and caution used in approaching horses, either standing or driven. Seventh: In approaching a vehicle drawn by horse, or horses, the driver's raised hand shall be understood as a cautionary signal, and when repeated the rider of the bicycle or other similar vehicle shall immediately dismount. SECT. 2 That any person who shall commit or omit any of the acts the commission or omission of which are hereinbefore declared necessary to be done or forbidden, or who shall violate any provision of this ordinance, he or she so offending shall, for every such offence, forfeit and pay the sum of not exceeding $20. 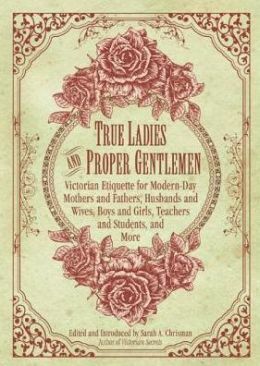 [Editor's comment: It is interesting to take note of the "... or she..." in the above Section 2. 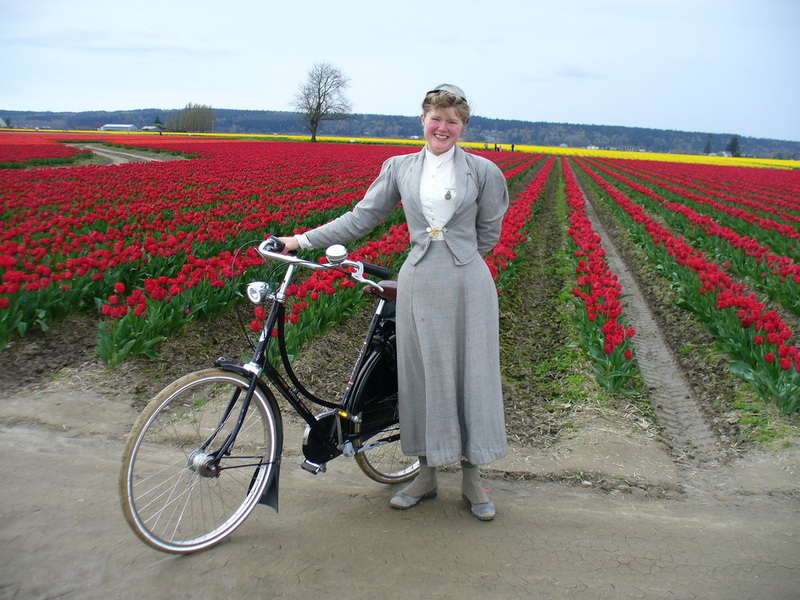 Women very seldom rode bicycles in 1884 - but they did ride tricycles. 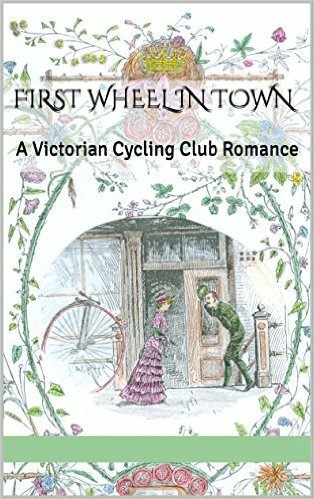 When the craze of the safety bicycle (bicycles having both wheels of the same size) took off in the 1890’s, women took to the new wheel gleefully; but in the mid 1880’s when this article was published, the cycling world remained very solidly dominated by high-wheelers. 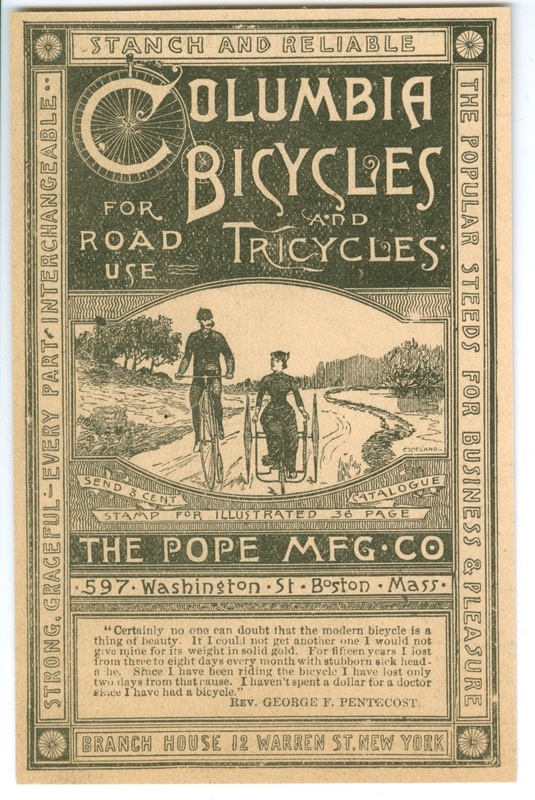 High-wheel bicycles were specifically sized to leg-length - just like a pair of pants - and a woman would have had difficulty finding one whose pedals she could reach when seated. Also, these Ordinary bicycles were virtually impossible to ride in skirts. 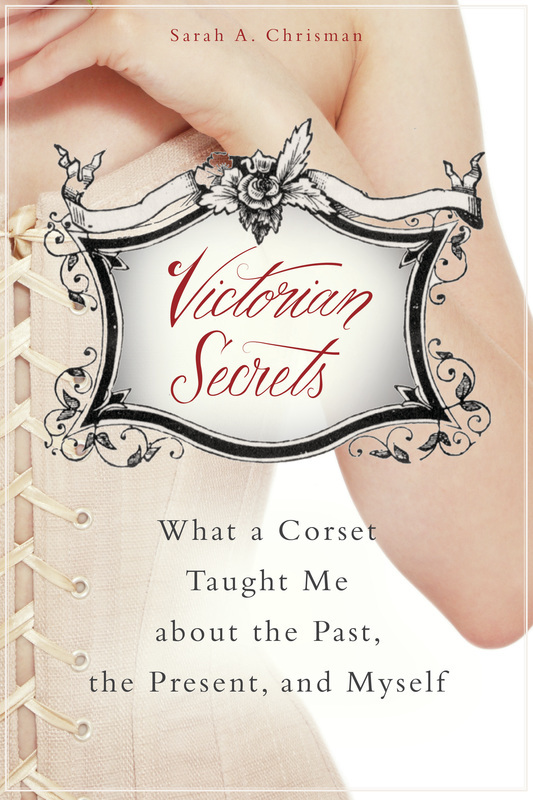 learn more about the Victorian era at the same time—by buying Sarah's books!